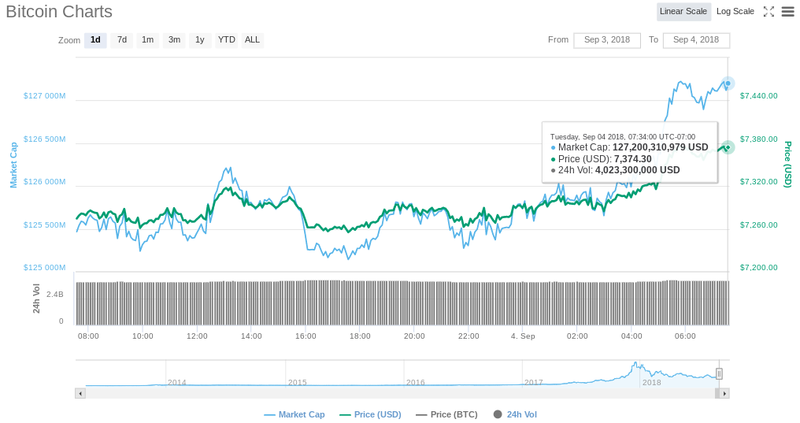 After holding above $7,200 for more than three days, Bitcoin’s price has jumped to $7,374, according to the latest data on CoinMarketCap. 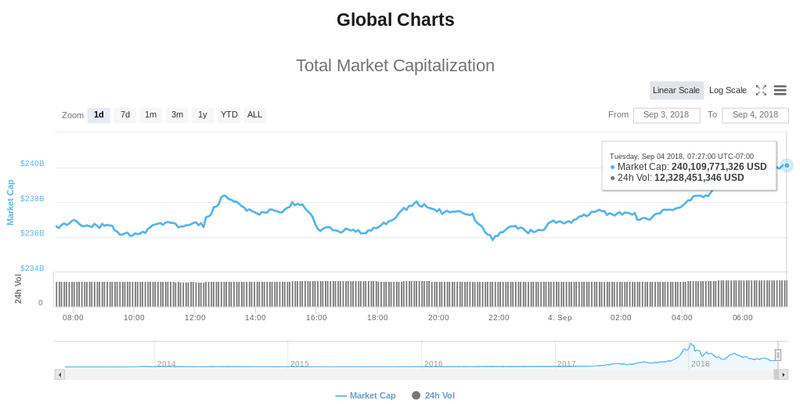 The total market cap of all cryptocurrencies is $240 billion, up about 2% over the last 24 hours. Meanwhile, a moderator of the biggest crypto-related community on Reddit says traffic has spiked for the first time since December. The moderator “BashCo”, who works on the Bitcoin subreddit, says a downward trend in traffic ended in August, a sign that more people are once again searching for information about crypto. If the pace continues, the Bitcoin subreddit will likely hit 1,000,000 subscribers in less than three months. That number of subscribers currently stands at 919,000. 9/4/2018 This article has been updated to reflect the fact that the Bitcoin subreddit is heading toward one million subscribers. The post Bitcoin Price Jumps Above $7,350 As Reddit’s Crypto Activity Surges appeared first on The Daily Hodl.